In 2012 sellers were advised to challenge their customers. Now it is time to take the challenger salesperson to the next level – to help the buyer to overcome the growing internal challenges faced in making the decision and getting it sanctioned. The challenges of navigating internal buying processes and procedures (including the steps, paperwork, information and analysis that is needed). The challenges of developing and communicating the business case for the purchase – one that is sufficiently compelling as to withstand skeptics and critics, competing projects, and inevitable delay. The challenges of committee buying – reconciling the differing priorities and perspective of a cross-functional buying team and ensuring buy-in among all stakeholders (including end users, procurement and finance). How serious are these challenges? The seller’s helplessness in the face of a rise in the number of stalled deals makes the buyer’s key challenges, the seller’s key challenges too. They are the stuff of the ultimate challenger sale. 1. Almost universally managers are expected to do more with less. Managers are used to submitting their budgets and then being told by corporate to deliver the results/promises, but with a budget of 5, or 10% below what has been costed. The bottom line is that there is less money to be spent. With many projects and priorities competing for the same resources, the new challenger’s salesperson must help the buyer to make tough decisions and trade-offs. 2. Managers can no longer simply write a PO. Their freedom has been curtailed by procurement procedures, paperwork and committees. There are steps that need to be completed, documents to be prepared and meetings to be held before a purchase decision is to be sanctioned. Compliance is increasingly being monitored, with managers facing penalties and censure if they fail to follow the rules. Procurement policies set out the responsibility of managers for their decisions, from barring corporate gifts from suppliers, to mandating competitive tendering practices. All this adds to an already heavy workload. It can be frustrating and slow. The new challenger salesperson must help the buyer to navigate the increasingly demanding steps of internal corporate buying processes. That includes helping the buyer to improve his, or her buying process where possible. 3. Managers are expected to make the right decision, regardless of supplier loyalties or personal preferences. A business case/justification is required even for relatively small purchases. It must present the rational-economic justification for the purchase, presenting a financial analysis of costs and benefits, while also taking into account risk, compliance and other factors. Buyers need more detailed information, more rigorous analysis and some means of external validation. Re-hashing vendor provided information is not enough. Again this adds to the workload of managers, as well as to further information overload. Buyers need to present a cost-benefits analysis, but in many cases they do so knowing that it is likely to be significantly discounted. For buyers who are paid a bonus, this can hurt them in the pocket. Managers must clearly show how the purchase fits with the goals, or priorities of the business, department, or project. If they cannot the purchase cannot be certain of approval. In particular it may lose out to a competing project, or a new priority. Both sides share the same challenge – creating a highly credible business case – one that can withstand the scrutiny of internal sceptics even saboteurs. Both sides need to work together towards the goal of building an unassailable economic justification for the purchase. 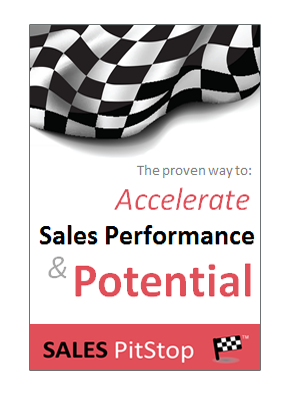 The ultimate challenger sale involves helping the buyer to build a compelling business case. To do this requires the highest levels of access and trust. 4. Buying decisions are increasingly being made by committees. But more people involved in the decisions, means more meetings, more politics and more delays. Added to this the cross functional nature of the buying team means reconciling different perspectives, priorities and even personalities. For the executive sponsor this can be frustrating. Indeed, managing stakeholders continually emerges as a key challenge faced by buyers. Getting the necessary buy-in to ensure a decision is the first challenge. It is quickly followed by the challenge of ensuring user adoption and support post the decision. But, how can the salesperson help the buyer to overcome these challenges? Salespeople who are aware of the growing challenges faced by buyers take the road less traveled. They focus on helping the buyer to get the purchase sanctioned. They recognize that traditional closing techniques are powerless in the face of today’s complex buying procedures and cross-functional buying teams. While the traditional challenger looks for new techniques to close the sale, the new challenger looks for ways to help the customer to make the right decision and to get it sanctioned internally. It may sound like a play on words, but it is much more – it is a fundamental shift in mindset. Helping the buyer to buy is the ultimate test of the sales professional – the number one sales challenge. New levels of access and interaction that are granted to only a minority of salespeople – those who enjoy the privileged position of a trustworthy adviser. Overcoming buyer skepticism. At first most buyers don’t believe that salespeople can help them to buy. They don’t believe that they have the interest, or skill to do so. 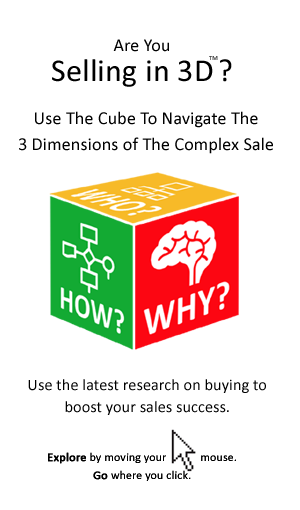 Addressing complexities involved in the buying decision that are often not obvious to the seller. There is all ‘the messy stuff‘ surrounding what from the outside should be considered a ‘straight-forward’ decision.